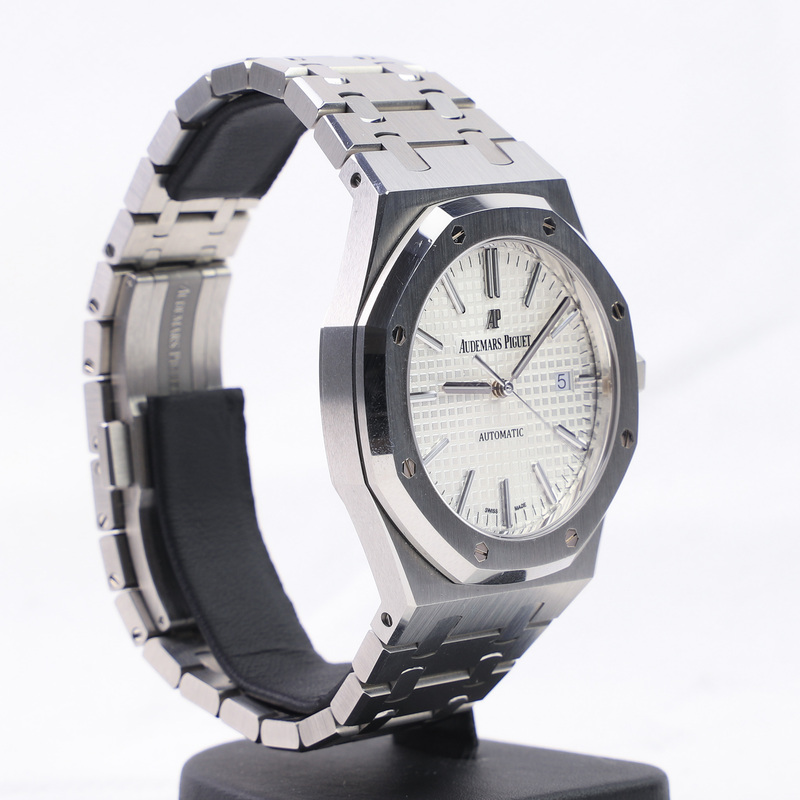 Fullset complete with box and papers. 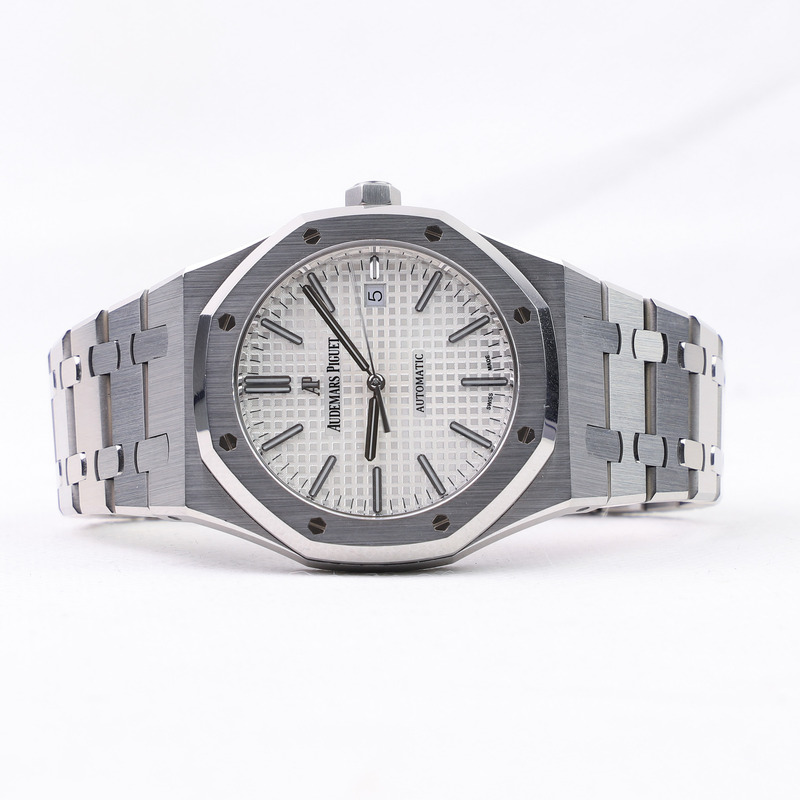 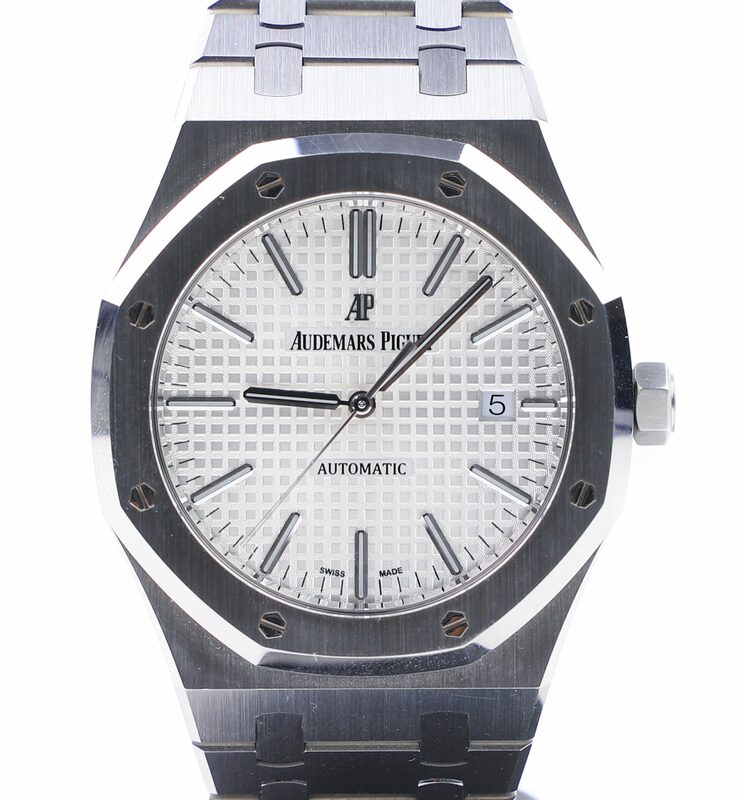 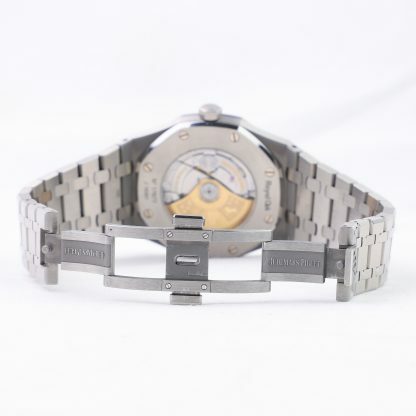 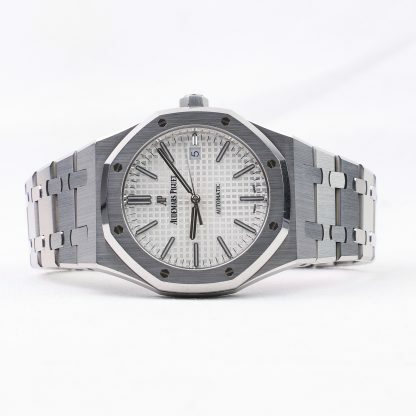 This Audemars Piguet Royal Oak white dial, reference 15400ST is in excellent condition and has barely any signs of wear. 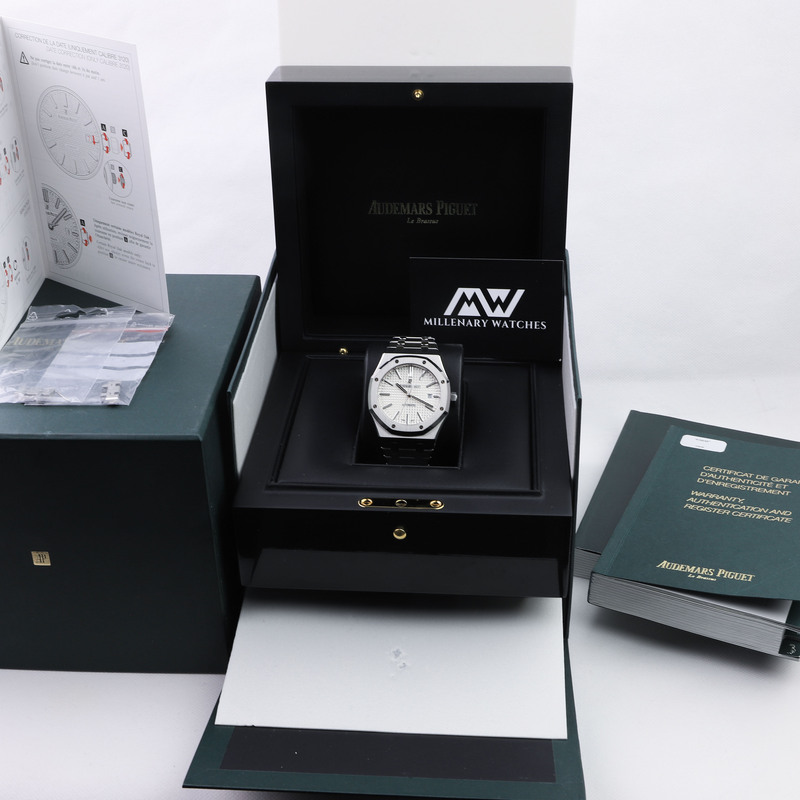 The watch comes with an outer box, the lacquered green wooden box, booklets, certificate, and all links. 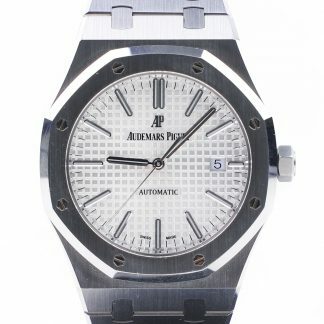 The watch has a see-through caseback allowing you to admire the beautiful in-house developed 3120 Audemars Piguet self-winding movement. 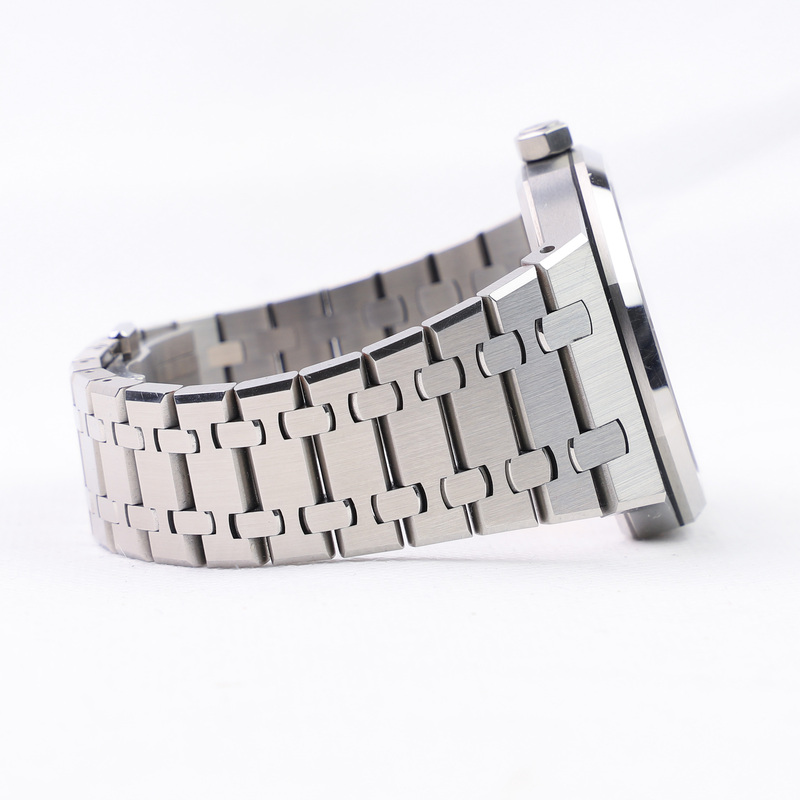 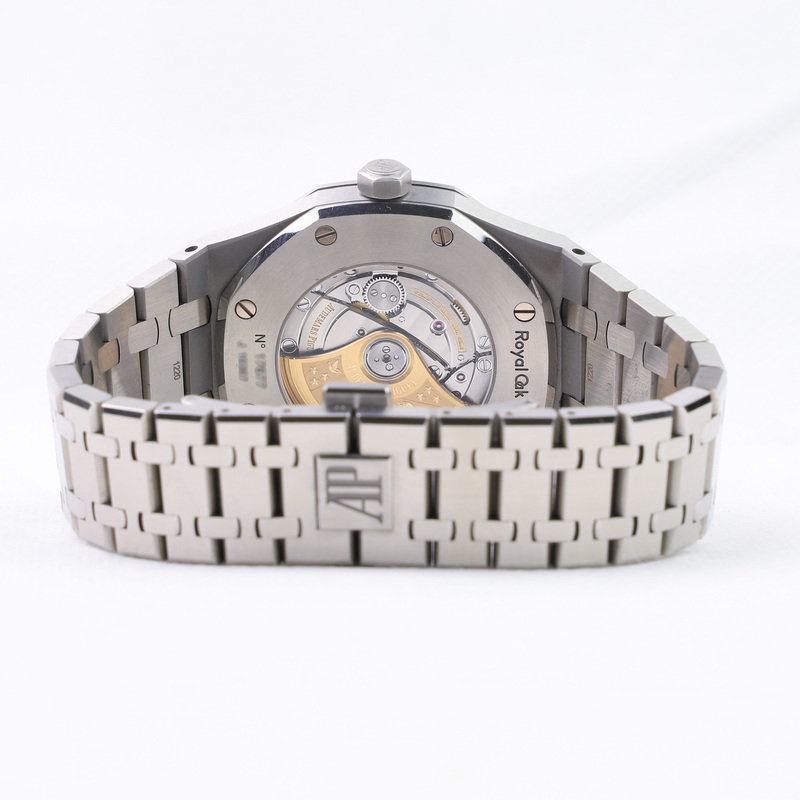 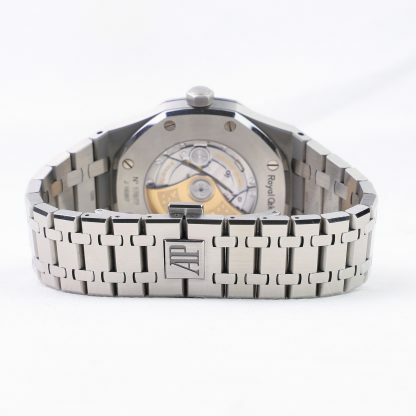 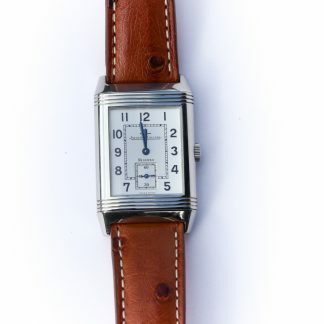 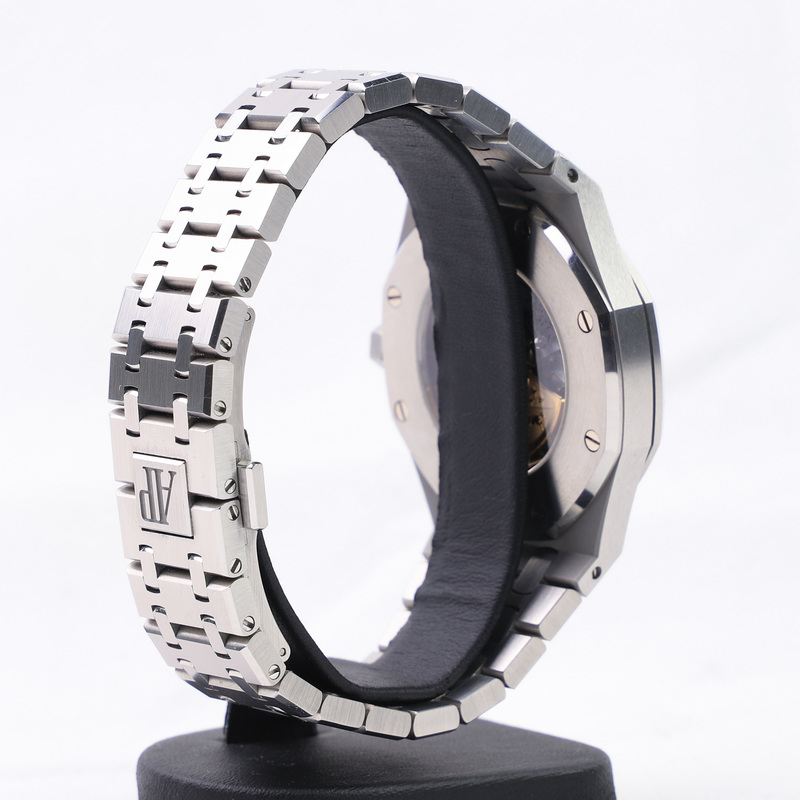 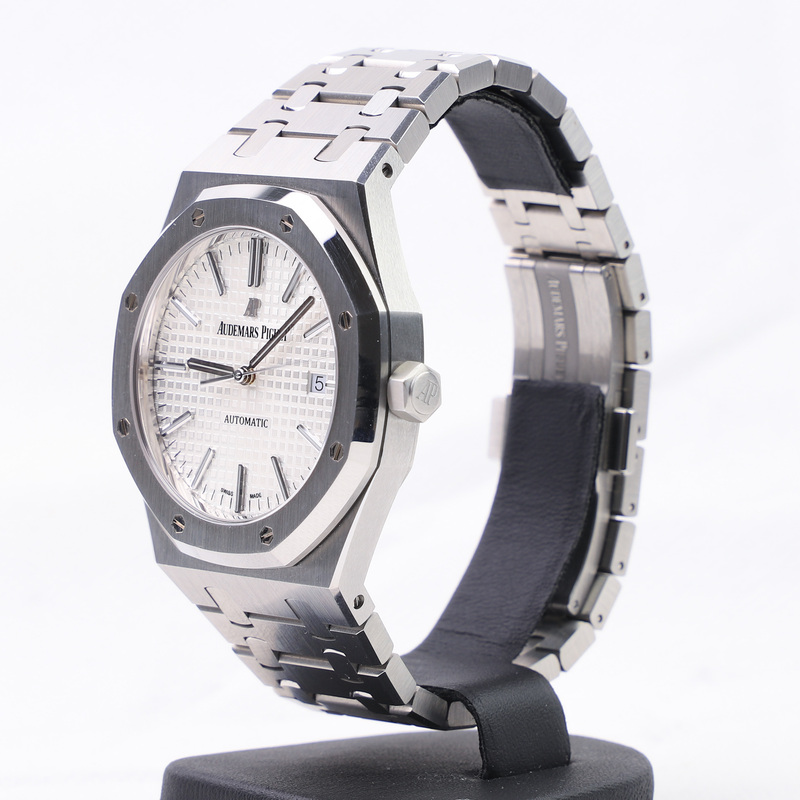 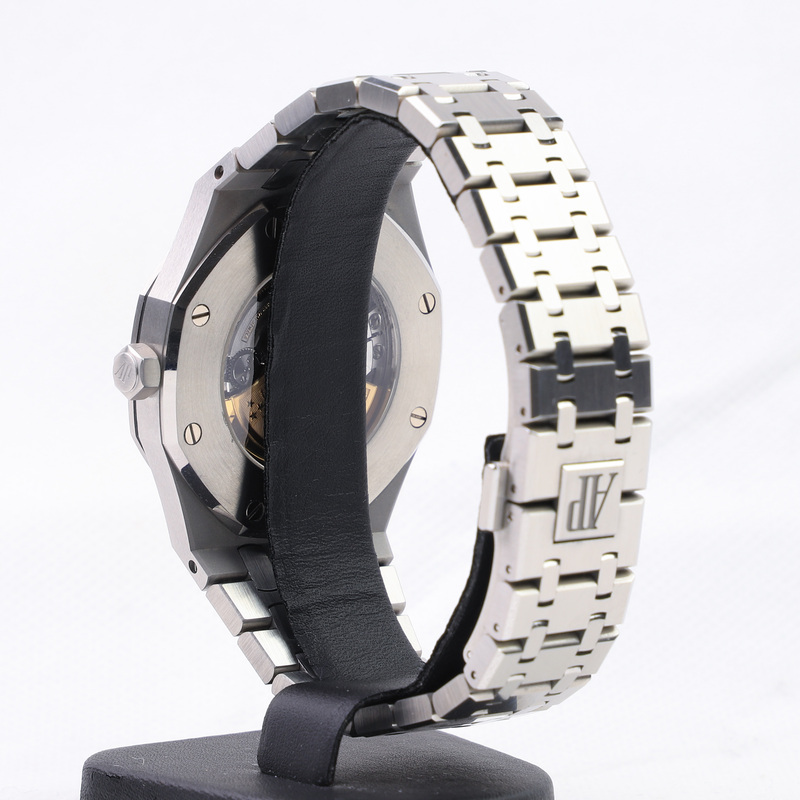 The movement has a power reserve of 60 hours, beats at 3.00 HZ, and consists of 280 parts. The movement includes the hours, minutes and dates. 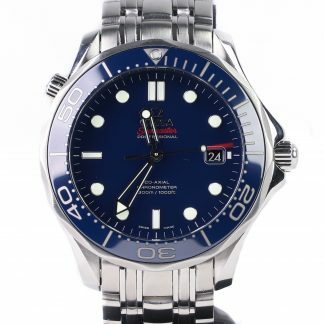 The case is 41mm, made in stainless steel, surrounding a silvered dial that has a wonderful texture which changes personality depending on how the light hits it. 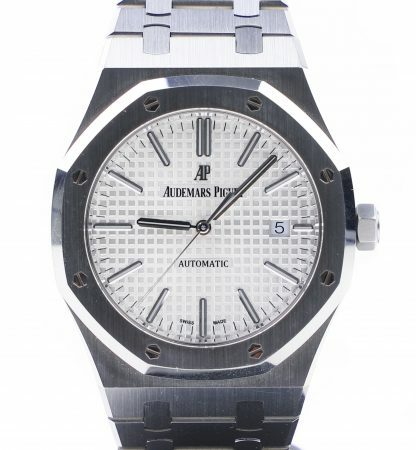 The Royal Oak 15400ST combines brushed and polished elements, which gives a shimmering effect on the case and bracelet. 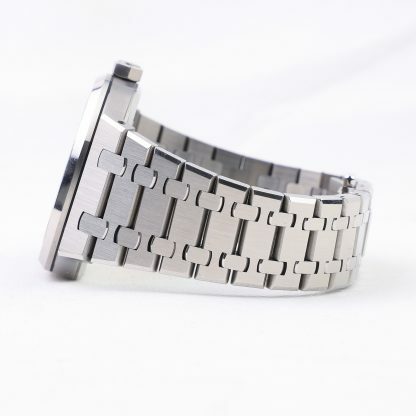 The bracelet has a hidden folding clasp that is extremely comfortable to wear. 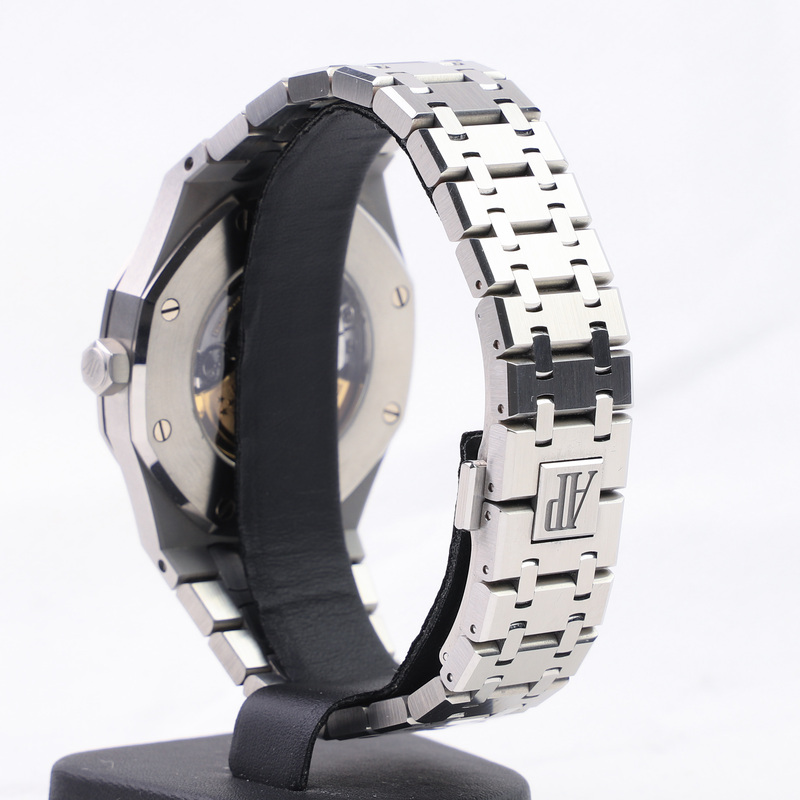 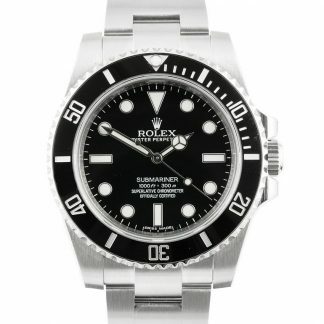 The watch is water resistant to 50 meters.